Shinnston, West Virginia is located between Fairmont and Clarksburg on one of the innumerable now-abandoned coal-mining branches that used to blanket West Virginia. Here a load of empties is returning to one of the many coal mines in the area. 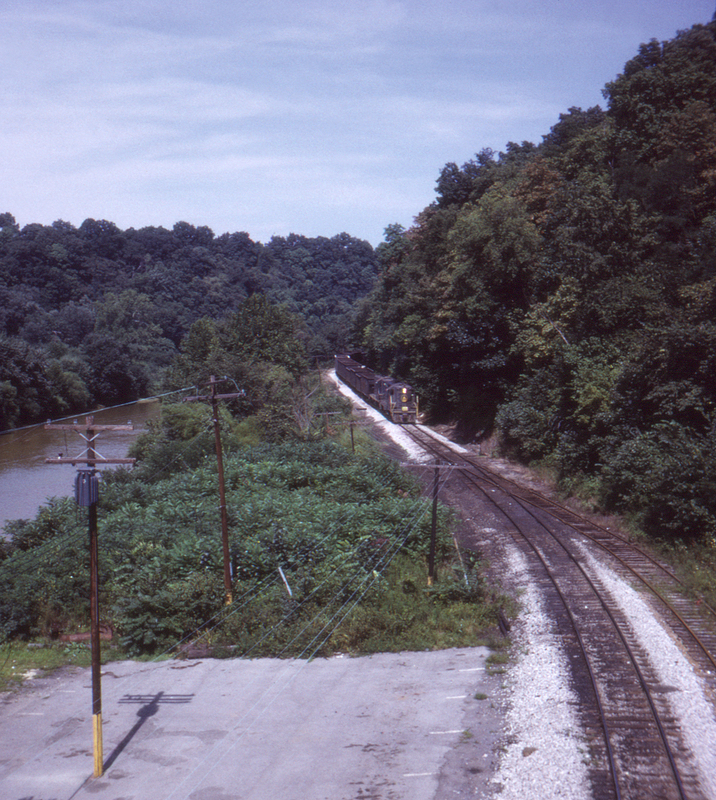 This was probably taken from the U.S. Highway 19 bridge at the north end of town, looking northwest. The West Fork River is visible to the left.